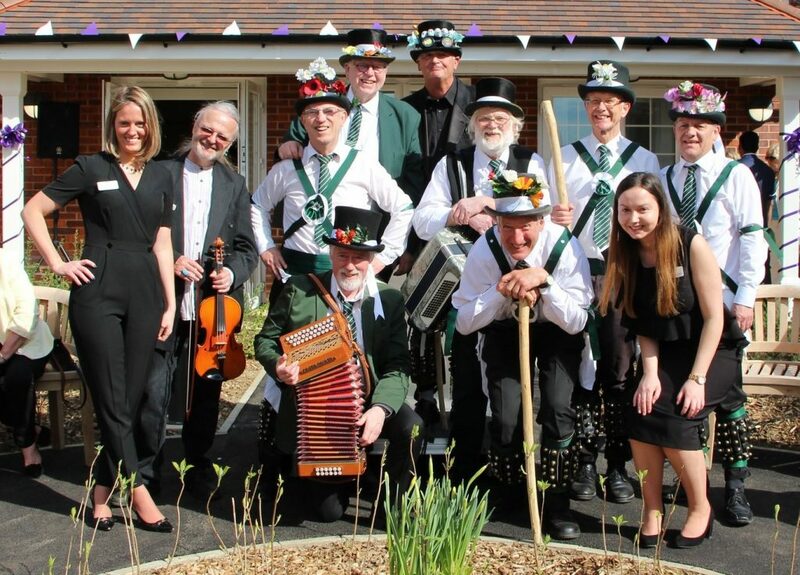 Squire John Ekers reports: AVMM were happy to provide a team of dancers to help entertain new residents, staff and visiting dignitaries at the opening ceremony of Gracewell House in Twyford on Thursday 30 March. Six experienced dancers, including founder members, Bryan and Jim, performed five dances interspersed with tunes led by regular team musicians, Donald McCombie and John Wright. A well known local fiddle player augmented the AVMM sound after witnessing his mother-in-law cutting the celebratory cake to mark the official opening of the new luxury care home. The event was blessed with glorious sunshine!